I joined my good friend Alexis and fellow food blogger and friend Kit for a pizza making class at Le Pain Quotidien bakery in the West Loop. 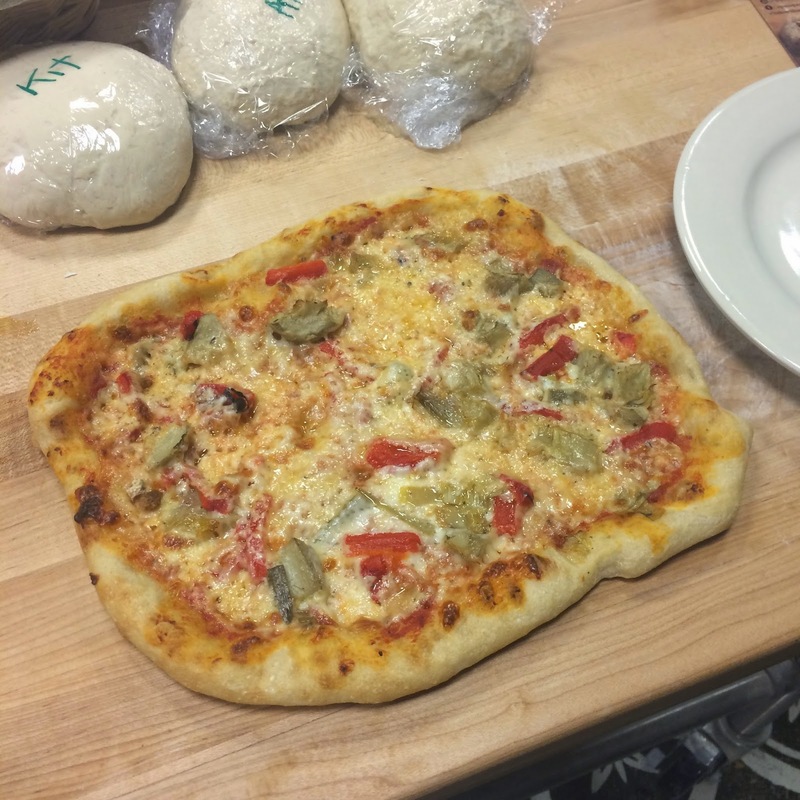 We learned everything about the homemade pizza process-- from hand kneaded dough to fresh sauce to baking on a pizza stone, the class was educational and fun and the pizza was delicious. One of the best parts of pizza class is, of course, eating it. After our class ended and our pizzas were fired, we all sat down at the communal table to enjoy the fruits of our labor with our classmates and a glass of wine. They even sent us home with the sauce and dough that we made in class so that we could recreate the pizza at home. After pizza class we headed across the street to CH Distillery, a bar and distillery that I've been anxious to try. 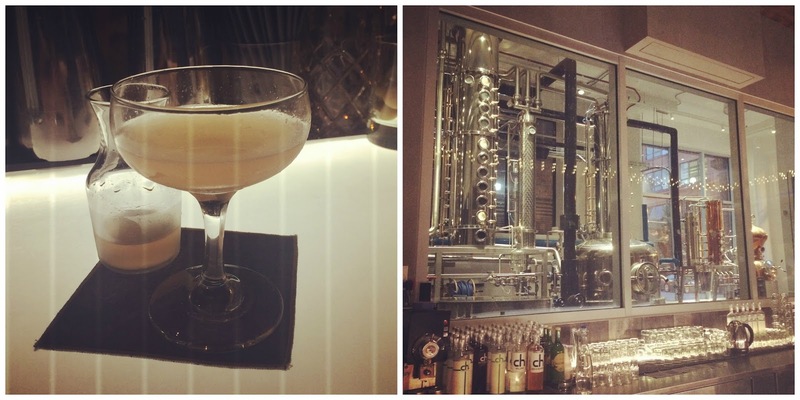 All of the cocktails on the menu here are made with spirits straight from the distillery that's visible behind the bar. Cool, right? I ordered the Czech Mate, a tasty combination of cinnamon/spice infused vodka, honey syrup, and grapefruit juice. 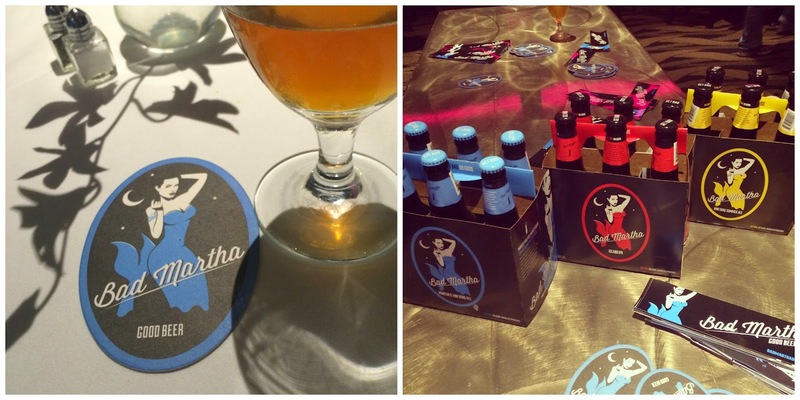 Last week I boarded an Odyssey cruise boat to celebrate the official launch of Bad Martha beer in the Chicago area. Bad Martha is a newer brewery born on the lovely island of Martha's Vineyard. Previously you could only find their beer in Massachusetts, but as as of last week they are now available in Chicago! I brought one of my favorite Plus Ones, my bff Alexis. The overcast pre-stormy skies made for a great backdrop, no? And a few other lovely ladies from the Windy City Blogger Collective (including Samhita, Erin, Sapna, and Kit) were in attendance to celebrate Bad Martha's launch too! In true New England fashion, Bad Martha hosted a real lobster boil dinner which was the perfect pairing with a cold glass of beer. They had four varieties there for us to sample and my favorite was definitely their IPA. I don't normally gravitate toward an IPA, but this one had just the right amount of hops. Chicago really is a beautiful city, isn't it? Earlier this week I was in Phoenix, Arizona for work. Typically these trips don't lend themselves to many fun photos or recaps, but here's a fun fact for you: My boss is a hotel & resort enthusiast. We share a love for architecture, so when he found out that this was my first visit to Phoenix he made it his personal mission to show me a few of his favorite resorts in the area (which happens to be one of his favorite vacation spots). 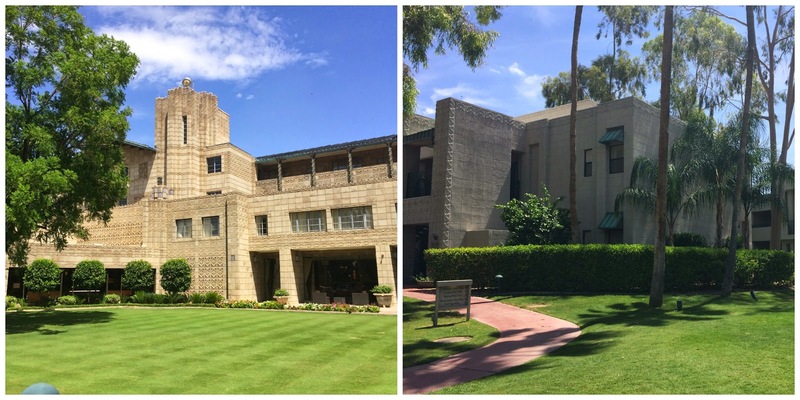 First up was lunch and a visit to the Arizona Biltmore, a resort designed in 1929 with Frank Lloyd Wright in mind. The grounds and the hotel were equally lovely and the attention to detail was impressive. And let's not forget the food. This is A Squared, after all. At Frank & Albert's at the Arizona Biltmore I decided that when in the Southwest, order a southwest chopped salad for lunch. I don't know if I was just really starved after a long plane ride, but this tasted like an exceptionally good salad loaded with pulled chicken, corn, black beans, shredded carrots and cabbage, candied cashews, and tortilla strips topped with a mixture of barbecue sauce and a sweet pineapple ginger dressing. I inhaled this salad and have been craving it ever since. 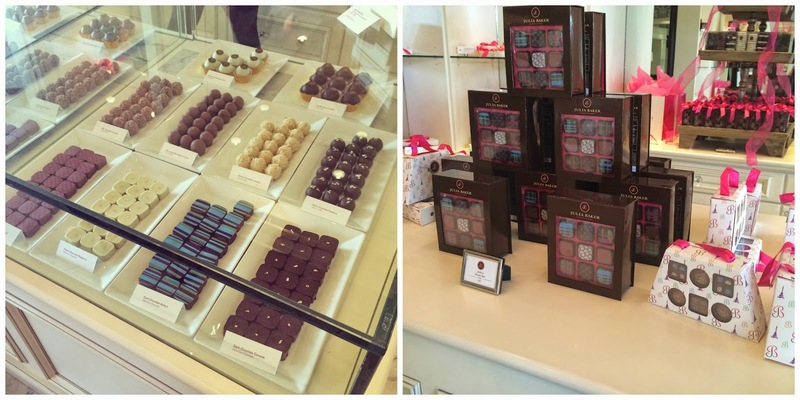 We made a quick stop at the Biltmore Fashion Park mall to pick up some treats for our meeting at Julia Baker, a high end chocolate boutique. I would highly recommend the red velvet cake truffles or anything with caramel inside. 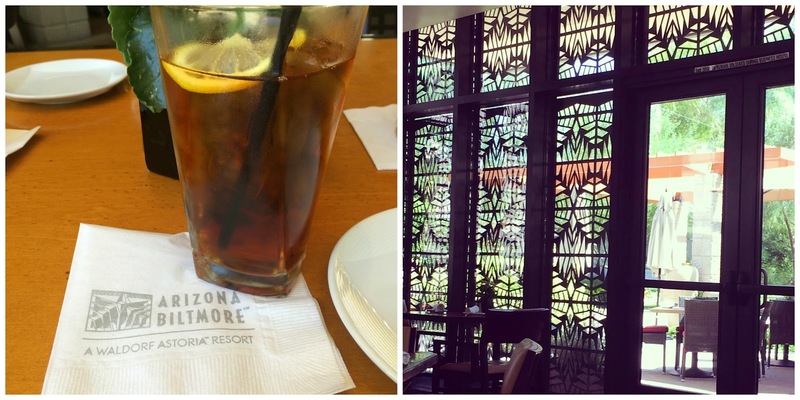 I stayed at the JW Marriott Phoenix Desert Ridge Resort & Spa. The mountain views were absolutely gorgeous. And I was totally having a southwest food moment during this quick trip... I love eating like a local even when I'm trapped at a resort. Tortilla chips with salsa and guacamole and a bowl of posole were exactly what I wanted on my last night in town. Oh, and the tour de resorts didn't end with the first two. We also ventured out to the Hyatt Scottsdale to check out the incredible pools and impressive design-- all cinderblock. And-- of course-- we stopped for a drink at the resort of all resorts, The Phoenician (pictured above). 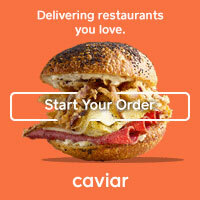 This place has a very 80's luxury feel, but in a good way. While luxury hotels are a bit understated in design today, in the 80's it was all about showing it off and making big statements with the highest quality materials-- like lots of slab marble and gilded details.